Have it professionally installed. You could possibly do it yourself, but don’t. Follow directions. Each brand has nuances you should be aware of. Teach the kids to use it properly. Nobody wants a serious accident to happen. Before each use, check that no objects have fallen into the receptacle. Turn off the power and use tongs. Never put your hands down there. Run only cold water. Though you may think hot water will dissolve any grease that accidently makes it into the drain, in reality it’ll still accumulate further along the plumbing. Cold water will coagulate any fat and make it easier to be pulverized and swept away. Continue to run water up to two minutes after the scraps are shredded so they’re carried well down the pipe lines. Cut scraps into small pieces and feed them gradually. A huge load can cause a jam. Use the disposal regularly so it stays in good working condition. Pour grease or fats down the disposal. Put non-food trash like metal, glass, or paper in there. Pour in bleach, drain cleaners, or any harsh chemicals. Scrape coffee grounds into it. They can mask odors but at the cost of clogging your pipes. Discard starchy foods like potato peels, rice, and pasta. They can swell and stick to the interior of your pipes. Add fibrous foods like celery or corn husks into the receptacle since they can wrap their strands around the blades and disable them. Throw in hard food waste like bones and fruit pits. The disposal is tough, but not that tough. You’ll need to clean the disposal regularly to prevent clogs and odors. If you toss a few ice cubes into it now and then, they’ll dislodge any debris that may be clinging to the blades. Try flushing soapy dishwater through it to dissolve any sludge. Should you notice any odors, grind a couple lemon or orange wedges to freshen things up. 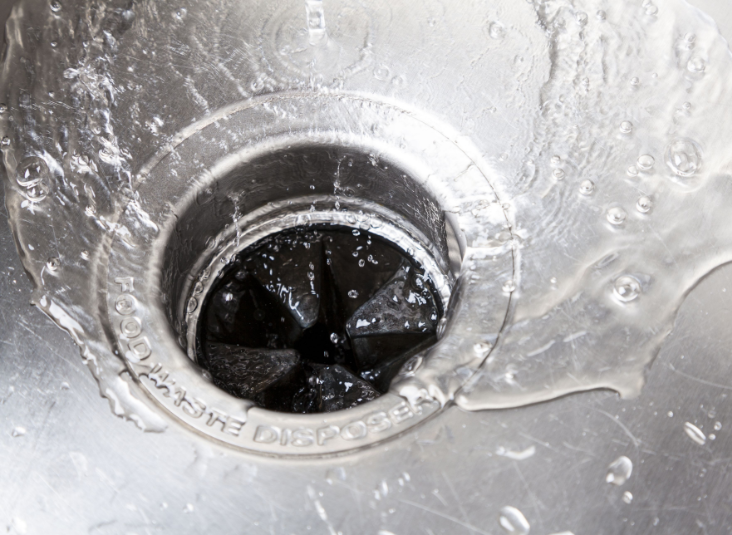 Taking care of your garbage disposal will become automatic in no time. Simply remember that it’s not a catchall for every type of kitchen trash. It’s designed to pulverize soft food scraps that are naturally biodegradable.